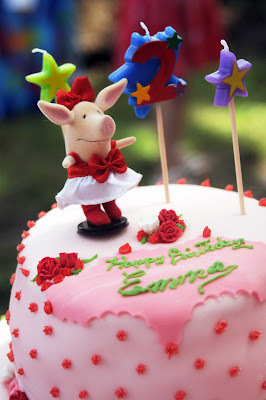 submitted by Michelle of Emma's World. Michelle knew that she needed to present a table where food and drinks would be laid out in a stylish manner-nothing short of what Miss Olivia herself would want. 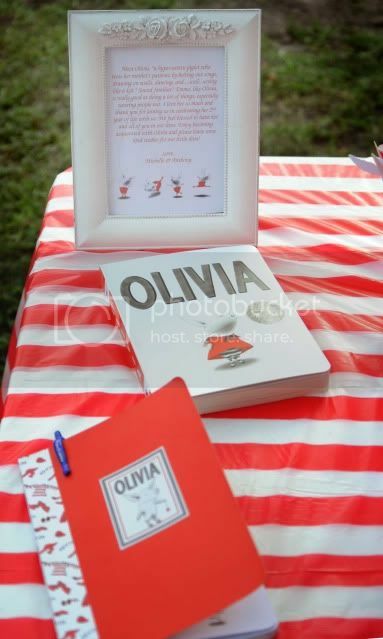 She stuck to the red and white theme/color palette and had her table bordered on a "circus flair" because the second Olivia book has her saving the circus. She ordered a majority of the table ware, table cloths, bunting through Oriental Trading. 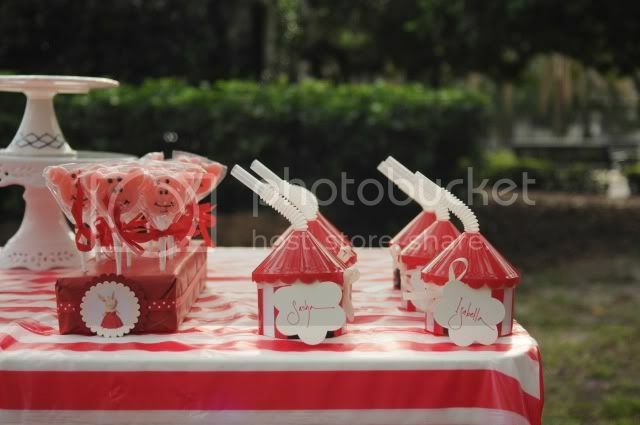 She got the wooden spoons through the website Garnish, along with the baker's twine and red paper straws. 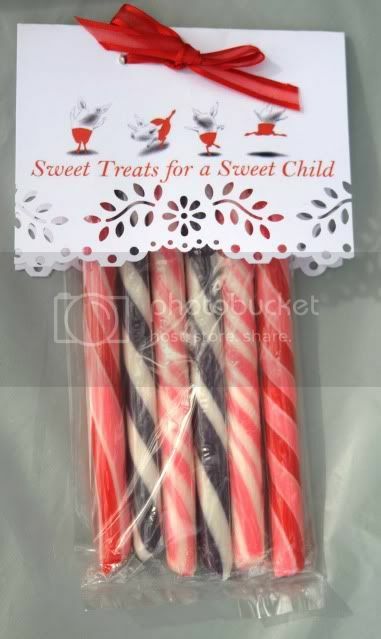 The images for the straw toppers and the treat bags were downloaded through the Nick JR site which has great printable images for all their shows in case there are Yo Gabba Gabba or Wonder Pets fans out there. The mac n cheese were put into little containers she found at the Container Store. 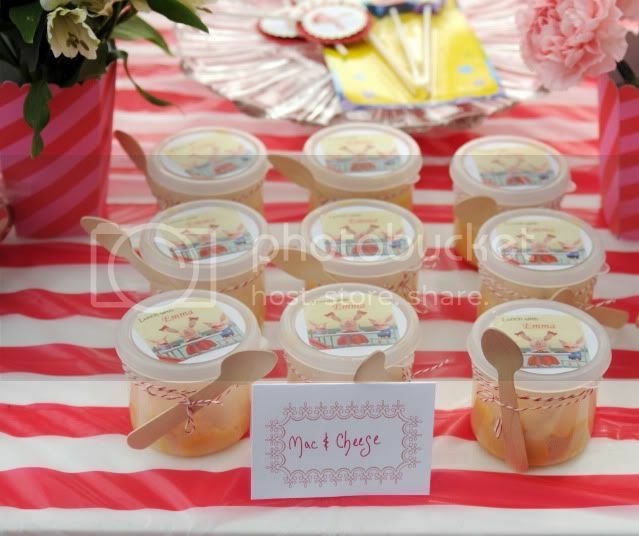 She attached a small wooden spoon with bakers twine to each container so each child would have their own and feel somewhat "grown up". 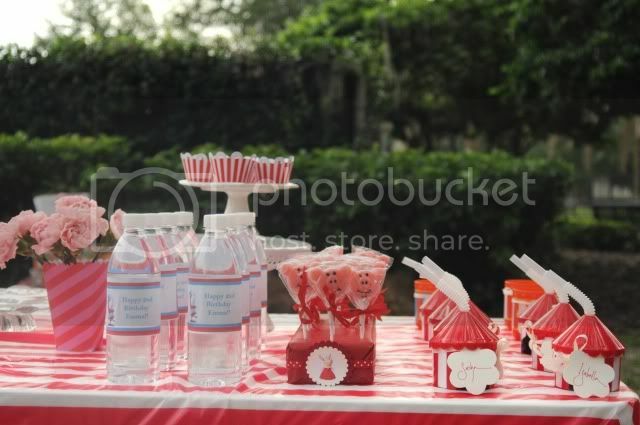 Michelle's friend, Claudia Sanchez helped her with the calligraphy by writing the name tags that went on each sippy cup and treat bag as well as the food labels. 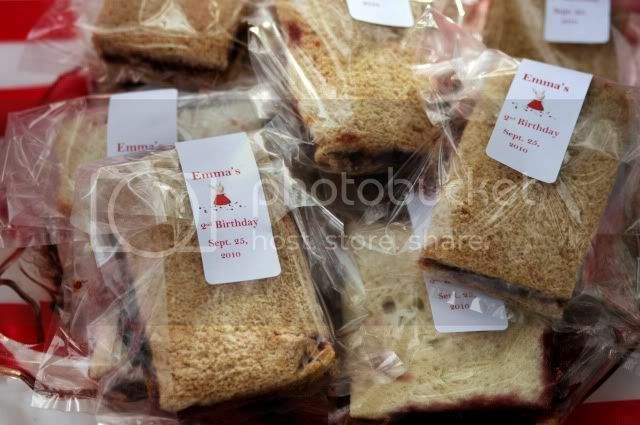 Michelle then made sticker labels to go on the lids of the mac n cheese that said, 'Lunch with Emma'! The image is from one of her books, Dinner with Olivia...she simply changed the text in Photoshop. Congratulations on being the winning party feature today. Just adorable! Love all the kids snacks. Great ideas. This is hilarious. Olivia has recently become a favorite of my three year old. 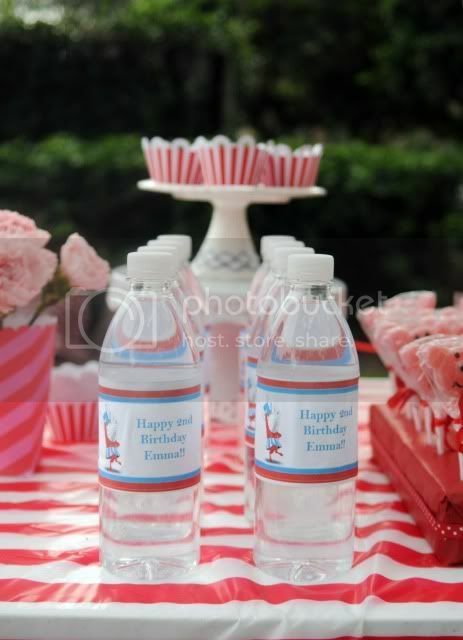 While she just had her wonderful Sesame Street themed party in August....it is only natural I start thinking and working on the next years theme, right? Ha! Well, it was Olivia! 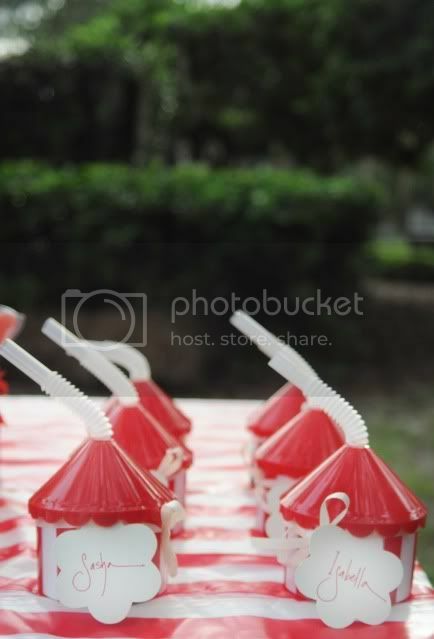 I bet this will be all.OVER.the eatch next year when I want to do it....cute idea! 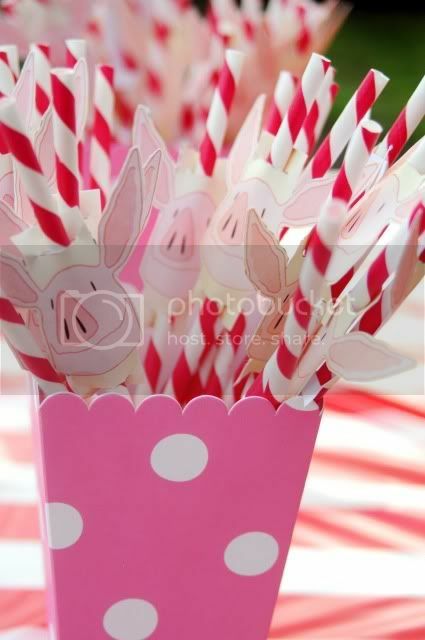 Some great ideas the straws with the pigs looks great. Pink and Red is a striking combination. This is one of my daughter's favorite shows. She would LOVE to go to a party like this! I love Olivia! I mean, my daughter love it! No, no, I think I love her more than my 3 year old. lol. 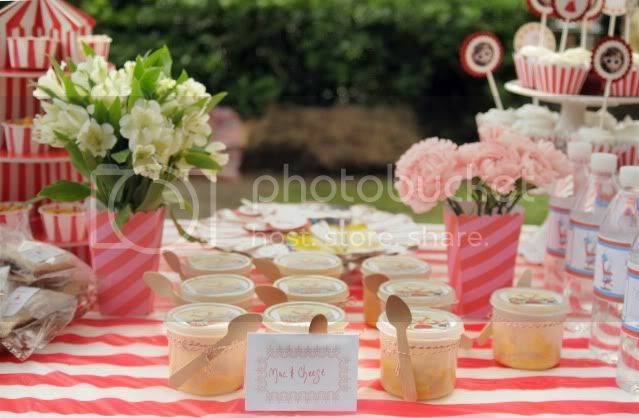 Such a cute party and love the colors! aw this is so precious! we had an olivia party for my daughter's 7th bday, but didn't have half the cuteness here ;) looks like an awesome time! 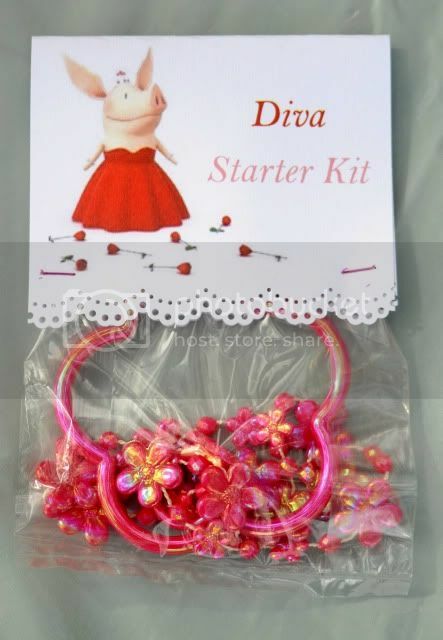 Where did the Olivia cake topper come from? I just came across this party- it's adorable! Hope it's ok if I share it with my readers! 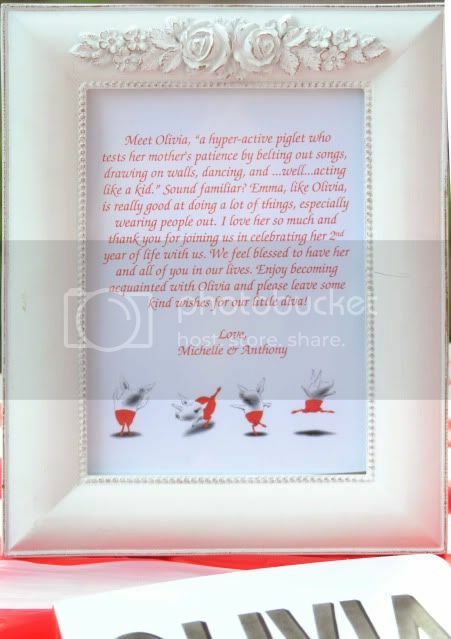 My daughter's birthday is coming up and she's IN LOVE with Olivia-such great ideas! 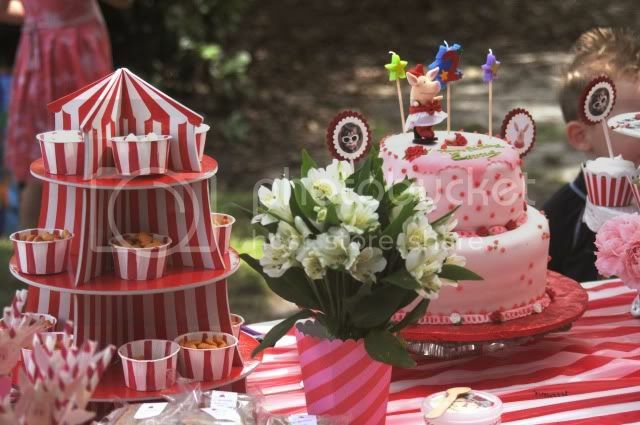 where can you get the Olivia print off things.....and the cake topper and stuff! So cute! My daughter loves this! 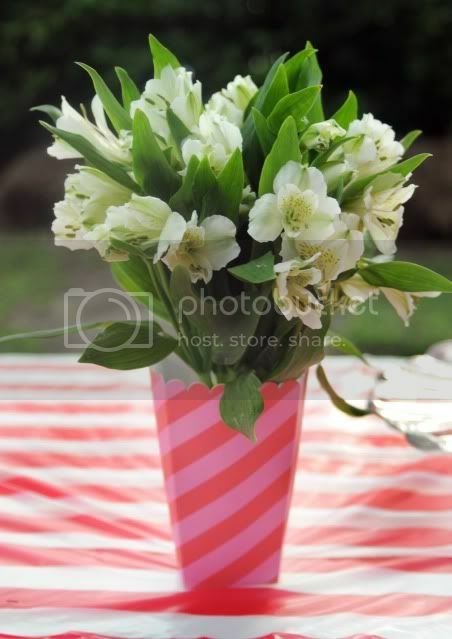 I thought about doing something like this for her party!